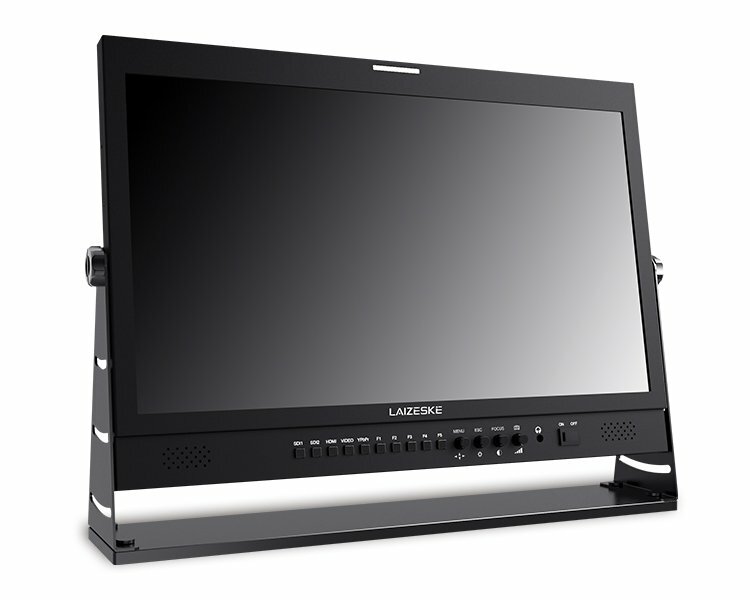 The DR215DSW 21.5″ 3G-SDI/ HDMI IPS Production Monitor from Laizeske features an IPS LCD display with a native resolution of 1920 x 1080 and wide color gamut for precise color restoration. 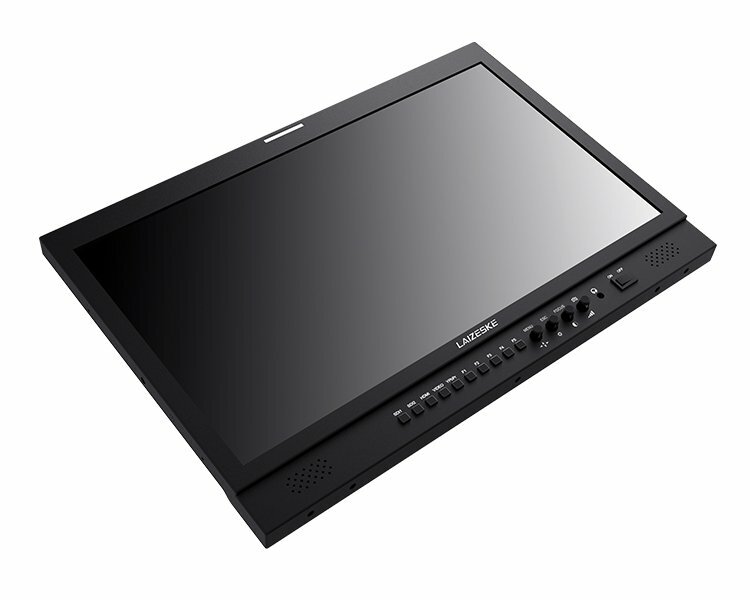 This LED-backlit panel offers 178° wide viewing angle and contrast ratio of 3000:1. 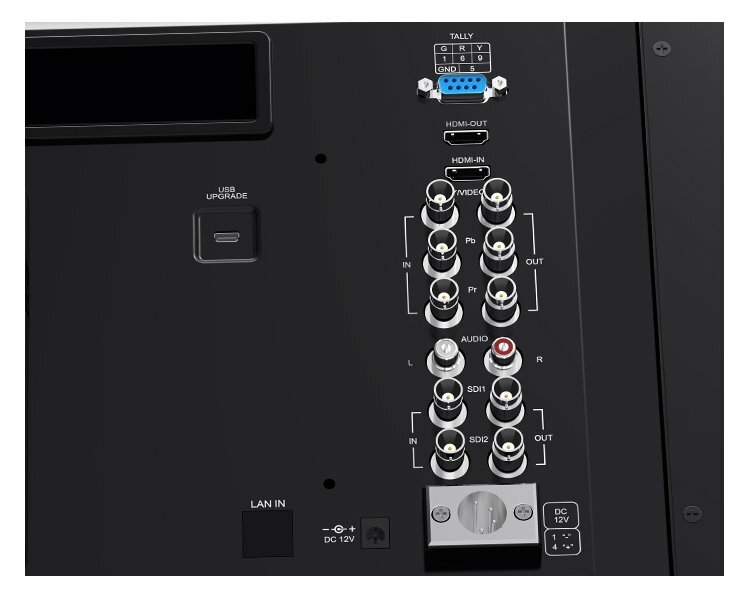 Its rear panel features two 3G/SD-SDI, HDMI, and YPbPr inputs, and outputs that support all HD, SD, and analog video signals. 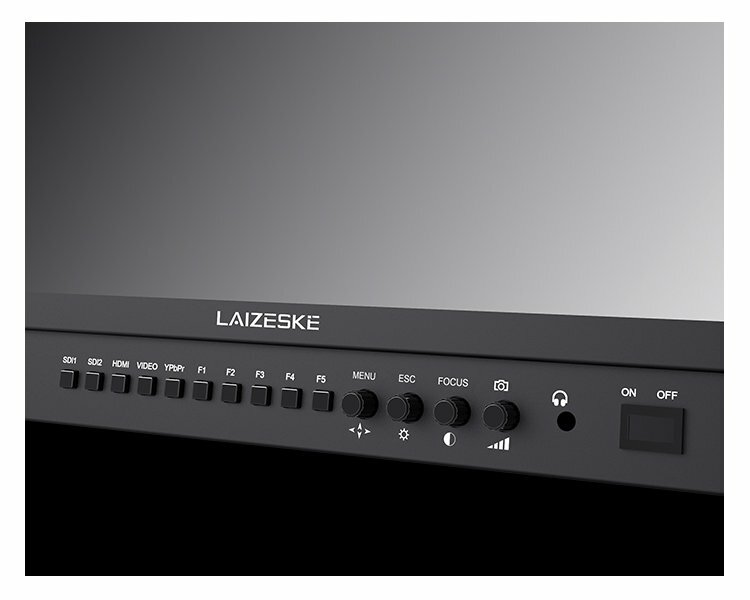 For audio, the monitor features left/right audio inputs, one 3.5mm stereo headphone jack on the front panel, and a built-in speaker. The monitor comes with a three-color (red, green, and yellow) tally light, which can be controlled via a DB-9 port on the rear side. 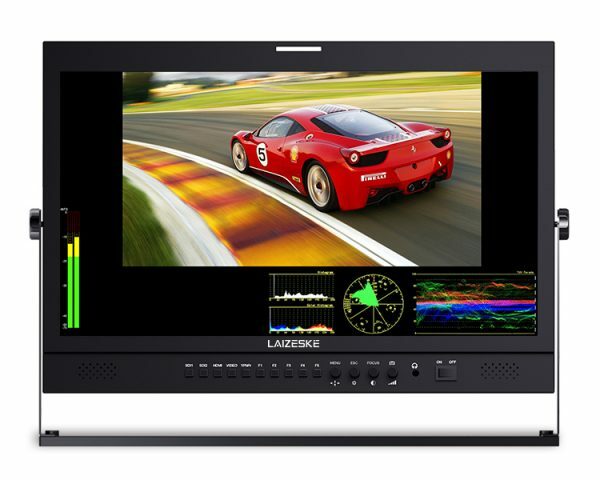 The built-in waveform monitoring functions allow for simultaneous viewing of two independent sources with convenient switching between monitoring or scope views whenever required. In the All Scopes Mode, the video shrinks approximately to the size of the display and tiles your choice of vectorscope, histogram, and waveform on the border. 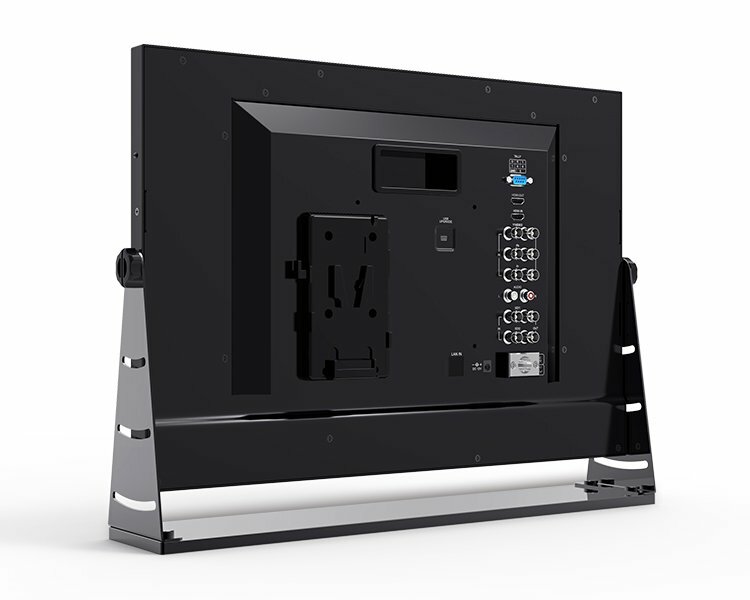 The monitor comes with a V-mount battery plate that attaches to the rear side for battery mounting. It can either be powered using the included 12 VDC adapter, or via lithium-ion batteries through a standard 4-pin XLR connector. Internal color bars analyze the monitor image color and adjusts tone, brightness, etc.